It’s been just a few short weeks since Panoramio introduced groups as a major new feature, and it’s probably not an exaggeration to say that this feature had a major impact on the nature and dynamics of Panoramio. I’m honored that Gerard asked me as the owner of one of these groups to tell you about us and what we think about Panoramio and the new group feature. Why do we like Panoramio? Panoramio gives us the opportunity to meet many people interested in photography. We can admire places, collect impressions, get to know many different cultures and interesting places all over the beautiful earth. Panoramio connects people of all nationalities and religions in a peaceful and harmonious way. As such, Panoramio is the foundation for a global community of people who are fascinated by the diversity of nature, cultures, people on this planet and eager to share this fascination with many others through the medium of photography. Panoramio makes the frequently discussed process of globalization a very personal experience: Suddenly I have friends in the most unlikely places on this planet! In addition, Panoramio is the home of an interesting mix of amateurs and professionals which provides a training field in photography for everyone. And last but not least, it is a rewarding experience to contribute to the global photo coverage in Google Earth. What do we like about Panoramio Groups? In this broader context of Panoramio, groups offer a great new opportunity to bring together people with similar interests. These shared interests are expressed in the collective creation of picture galleries highlighting many angles, aspects and facets of the topics of choice, but also – and equally important – in the exchange of ideas and experiences in group discussions resulting in mutual learning and opening horizons of different thinking and different approaches to many topics. And the introduction of groups in Panoramio was so wildly successful that by now – within just a few weeks – there are tens of thousands of groups on just about any subject you can imagine. What is our HQP group about and why should you join it? 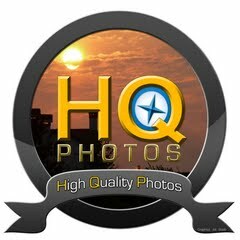 Our group, ‘HQP’ for ‘High Quality Pictures’, is about the fascination of photography. Many groups are focused on certain objects or regions. In contrast, HQP has no fixed theme but explores and examines the very essence of photography: the visual impact of photographs. Any kind of photography is welcome, from amateurs and professionals alike, as long as certain quality standards are met. By now, there is a rich and diverse collection for everyone to enjoy. This richness and diversity poses an interesting and challenging question: What makes a ‘high quality’ picture? HQP is a vibrant group with active members engaged in lively discussions around finding our identity in the face of this question. This discussion in itself offers a unique learning experience around exploring the strengths and limitations of diversity. I invite everyone to join us in our quest to create – and enjoy – a visual gourmet meal and equally importantly to participate in our discussions around quality and finding our identity. Guest Post by Mehrdad R, Creator of the HQP Group in Panoramio.